The Victorian state government is stepping up the pressure on the federal government to hand a deal for construction of new armoured vehicles to BAE Systems to ensure the vehicles are built in Victoria. State Trade and Investment Minister Phil Dalidakis said this was a golden opportunity for the Turnbull government to give certainty to the state's manufacturing sector and support new supply chain jobs in Geelong and right across Victoria. “Billions of dollars in investment and thousands of jobs – that’s what LAND 400 means to Victoria,” he said. Two firms are in contention for project LAND 400 Phase 2 to supply the Army with new armed reconnaissance vehicles to replace the ageing ASLAVs. BAE Systems Australia is proposing the Finnish-designed Patria AMV35, while German firm Rheinmetall Defence Australia is offering the Boxer CRV. Should they win, BAE will assemble their vehicles at Fishermans Bend, Victoria, while Rheinmetall will make their vehicles in Brisbane. 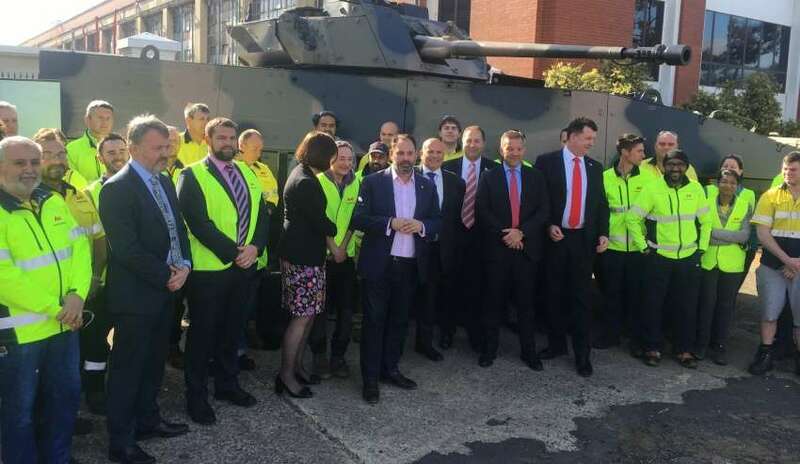 On Thursday, Minister Dalidakis visited Ford’s former Geelong site to inspect the BAE Systems Australia’s AMV35 vehicle and meet workers from local defence supply chain company Marand. Marand will build the hulls and turret shells for the new vehicles, should BAE Systems Australia win this contract. Marand is looking to increase its footprint in Geelong and base a significant part of their LAND 400 work at the former Ford factory, creating as many as 60 new jobs, some of which would be suitable for former automotive workers. Minister Dalidakis said LAND 400 Phase 2 was worth around $5 billion and would create up to 2,000 manufacturing and supply chain jobs in Victoria. Victorian Minister for Industry and Employment Ben Carroll said Victoria was the home of vehicle manufacturing. “We’ve got the workforce, the expertise and the supply chain to build next-generation vehicles for the Australian Army,” he said. Defence has completed its evaluation of the two vehicles. The government will announce its decision next year.